Goals from Noah Smerdon and Mat Liddiard were enough for Gloucester City to edge a tight encounter against Hungerford Town. The hosts seemed to have the better of the opening exchanges and had a goal disallowed for offside when Harvey Bradbury ran in behind and chipped goalkeeper Matt Yates. Joe Hanks had a long range strike tipped over the bar from Liam Driscoll then on the 25th minute mark the visitors took the lead. A corner found its way to Noah Smerdon whose header squirmed its way through the goalkeeper and into the net. The Crusaders had to settle for a free kick on the edge of the box after Conor Lynch was pulled down despite protests for a penalty. Matt Jones played a diagonal ball onto the head of Harvey Bradbury but he couldn’t convert his header despite being on target. 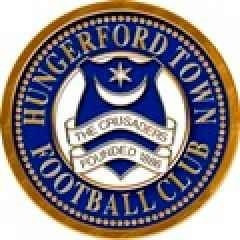 Hungerford again started on the front foot in the second half when Charlie Ten-Grotenhuis had a shot blocked before Bradbury’s header was saved on the goal line by goalkeeper Yates. The visitors then doubled their advantage through a Mat Liddiard thumping header. The Crusaders fought back through Lynch’s strike following a James Rusby flick on from a corner. Alfy Whittingham forced a great reaction from Yates after a Marcus Johnson-Shuster cut back before Bradbury sent a late glancing header wide and Dan Bailey had a shot blocked. Gloucester City held on to take the three points although the home side were worthy of a point.